The fort of Chittorgarh stands elevated over a 180 meter high hillock and covers a massive area of 700 acres. The antiquity of Chittorgarh is difficult to trace, but it is believed to have been built by the Maurya rulers in the 7th century AD. This book attempts to give you a glimpse into the checkered history of Chittorgarh, that has witnessed some of the bloodiest battles ever- three great sakes (sieges) and some of the most heroic, almost super-human deeds of velour, that are kept alive by the local musicians. Chittorgarh was home to the likes of Rana Kumbha, Rana Harnir, Rana Pratap, Rani Padmini, Panna Dhai and a host of other legendary figures. This one fort, more than any other, will continue to hold a special place in the heart of every Indian, and not just those from Rajasthan. Dharmendar Kanwar studied at the Maharani Gayatri Devi Girls Public School and went to university in jaipur. She started her writing career immediately after finishing school and did campus writing for several youth magazines. Over the last twenty-five odd years, other than books, she has done scripts for television documentaries, been involved in heritage conservation and contributed stories and photographs to almost all the major magazines and newspapers in the country. In the late 80s, she took to travel writing and was Resident Editor of Rajasthan Atithi, a Rajasthan Tourism publication, for a year. 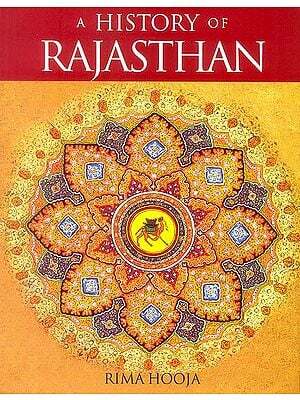 She was awarded the Best Travel Writer (English) for 1993-94 by the Government of Rajasthan. 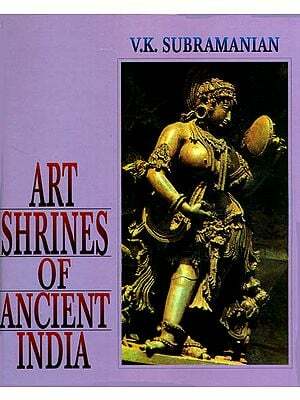 Dharmendar Kanwar has eighteen books to her credit. She was closely associated with the late Rajmata Gayatri Devi of ]aipur and is the Managing Trustee of her charitable Trust. While writing is a full-time activity for her, she is also seriously involved with conservation and is currently the Convener of the Jaipur Chapter of Intact. Much has been said about the bravado and gallantry of the soldiers, chiefs and rulers of Chittor; there is also enough written and spoken about the pride and heroism of the queens and common women of this fort. The story of Mewar is based on these emotions of loyalty, dependability and steadfastness, emotions that are dying out from the world today. While researching for this book, I came across many sources which insisted that perhaps the accounts were not entirely true and bordered on exaggeration. I believe, even if a fraction of what is said is true, these are still achievements that would be impossible, unthinkable and unimaginable in today's times. And if true, the magical reality will send shivers down the reader's spine. Look at the history of Chittor-if it were not for the loyalty of Bappa Rawal towards his master, he would have never caught his eye and the story of Mewar may not have even begun. If it were not for the devotion of Meera Bai towards Lord Krishna, a rather important chapter would have never unfolded in Chittor. If it were not for the loyalty of its queens, the mighty, brave act of jauhar would have never taken place. Regrettably, some people these days confuse sati with Jauhar, not realizing that the honor and esteem in which Rajput men held their queens would not allow them to even think of something as reprehensible and appalling as sati. Jauhar is a thought rather than an act, it is a way the queens ensured their loyalty to their husbands, it is a sacrifice they chose over being tortured and humiliated in the hands of the enemy. Panna Dhai's name is synonymous with sacrifice in Mewar and will always be. It takes a very courageous woman to sacrifice her own child in order to save the future king of Mewar. If it were not for this one faithful woman, there may not have been enough to write about in this book. The loyalty of the chiefs of Mewar and their contribution in shaping its history is beyond compare. Being a Rajput, I grew up on stories of Rani Padmini, Karnawati, Meera Bai, Jaimal, Patta, Kalla Rathore and many others and they seemed like fairy tales; there was always an element of doubt-could these people be real? Can loyalty reach this level. Talking about loyalty, the Jhala chiefs of Mewar deserve a special mention and not because I am married into the family of these heroes but because there are few families where seven successive generations sacrificed their lives for the honour of the house of Mewar. A clan of chiefs originally hailing from Gujarat and equals in terms of stature, had no reason to do what they did but their loyalty towards the house of Mewar made them willingly 10 face death to save the realms of Mewar. They did it not once, not twice, but repeatedly when the need arose. The history of Mewar would have been very different if it were not for the Jhalas. This loyalty did not go unnoticed, the rulers of Mewar used every opportunity to thank their kith and kin. Interestingly, Mewar was the only sovereignty where the king stood up to welcome its chiefs into the courtroom, they shared seats on an equal platform and were given special privileges-being a Jhala, one had the honour of using the same insignia as the rulers of Mewar, to commemorate the fact that they wore this insignia to die in battle in order to keep the rulers of Mewar safe. Stories of the chivalrous rulers of Chittorgarh, the dedication and commitment of its soldiers, the courage of its fiercely proud women, and the grandeur of the fort is imprinted on every stone that lies therein. 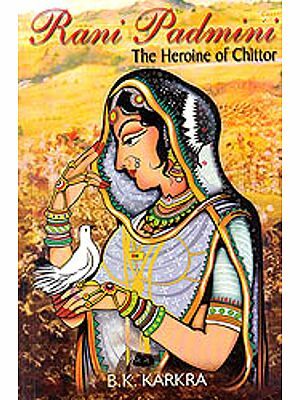 This book is a tribute to all the emotions that the history of Chittor unfolds. May the stories of Chittor live on and inspire us for generations to come.